Changes. Changes everywhere. After a two week hiatus, we finally made it back to the world of Zestiria but… Wow do things feel different here. 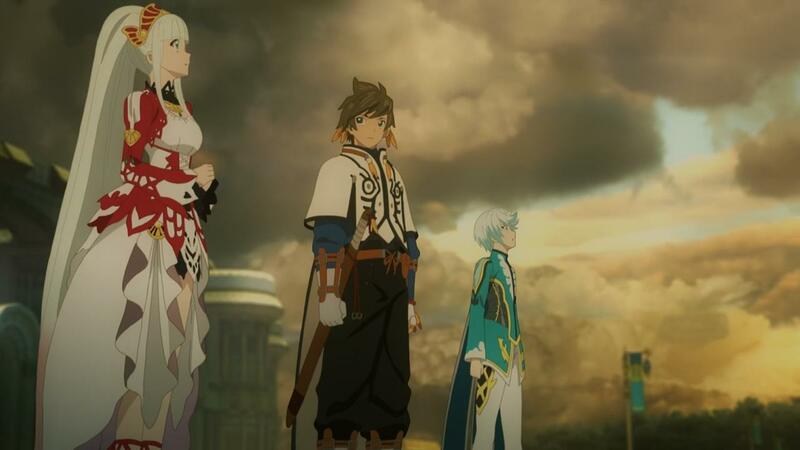 I suppose its only fitting that the two episodes that brought us back into the world of Zestiria, are rife with questions and changes that will incite different reactions from newcomers and diehard fans of the series. 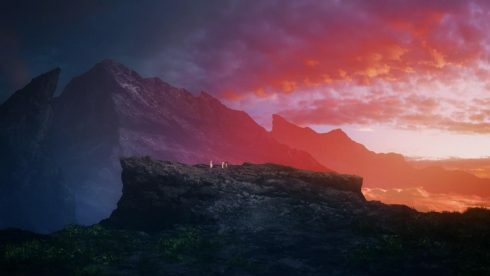 For me, things are markedly different from what I want them to be, and I think these two episodes were the first time where I saw some serious problems with this unique direction that the anime series is taking with the story. Perhaps the biggest contributing factor to all the issues that I have with these episodes, is time, or the lack thereof. 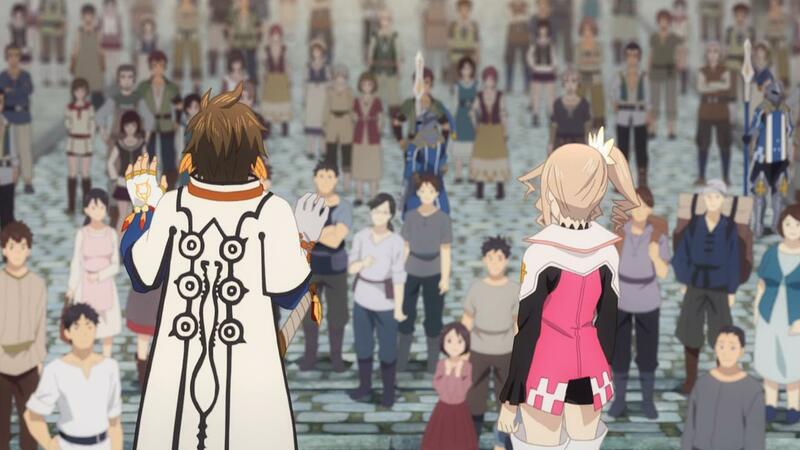 These episodes weren’t just fast, they blasted through two or three major events from the game, and outright skipped some very important and poignant moments as a result. 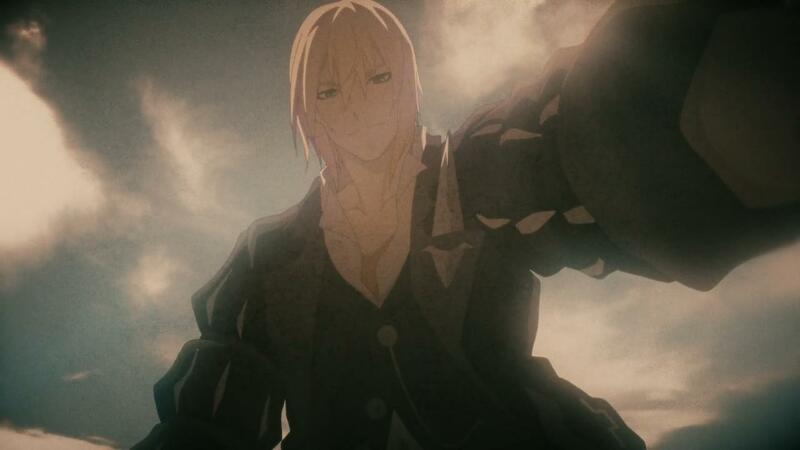 Some of this, very much feels like the damage from those two Berseria promo episodes earlier, finally coming back to bite the series in the back. Lets step back for a bit. 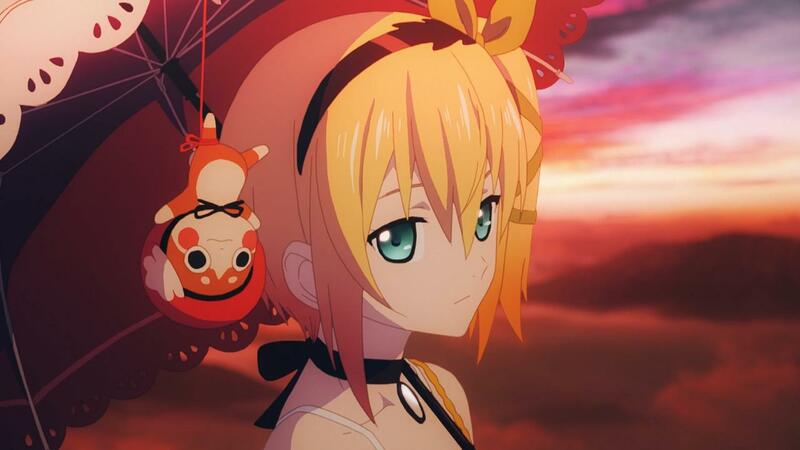 In order for Zestiria to be put on hold, it had to have some kind of stopping pont. 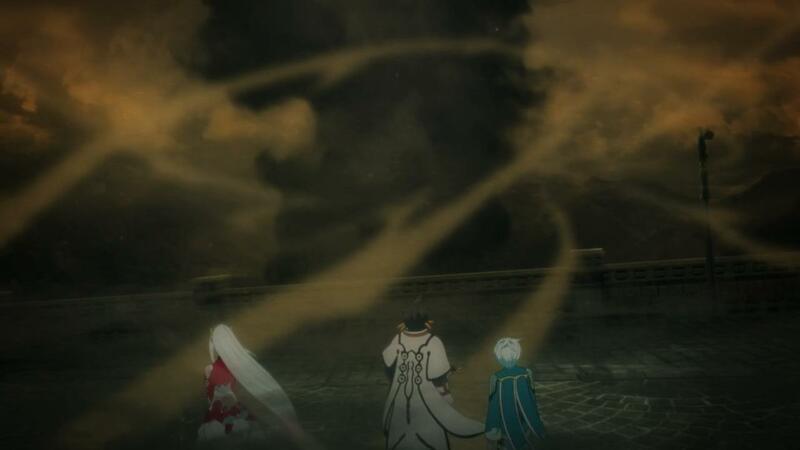 The stopping point was more or less the “impending storm” cliffhanger that we got before getting to Berseria. In order to make THAT storm happen, the idea of Dragons was thrown in super early. 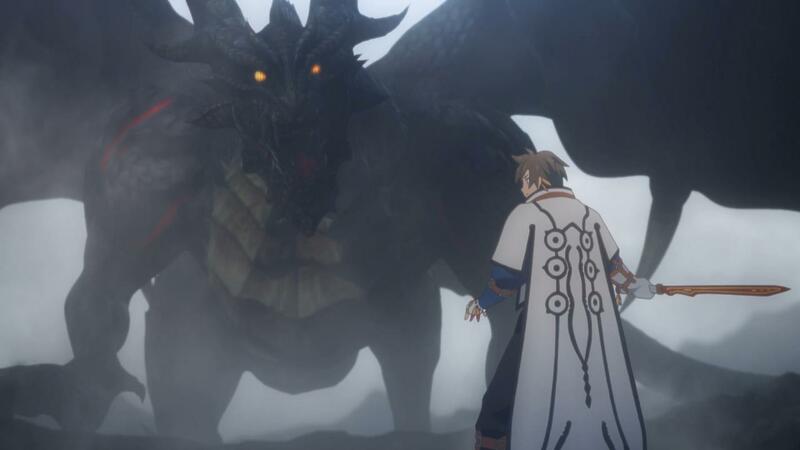 A Dragon appeared in Lady Lake, and then we went off into Berseria land. And we finally returned? 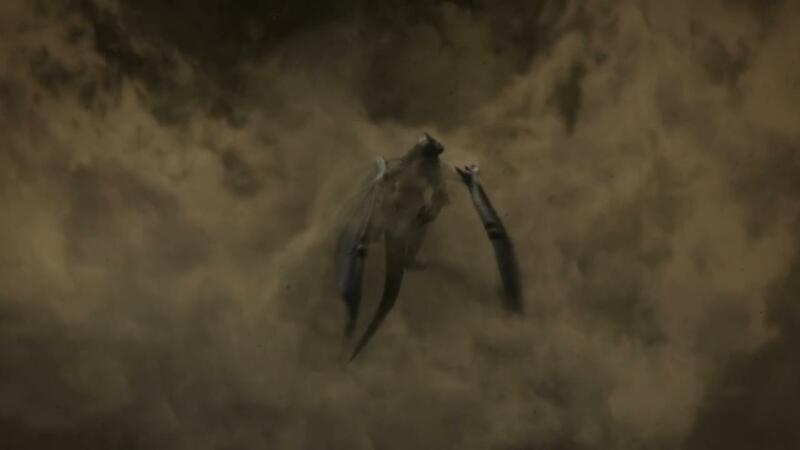 Well… The Dragon just… flew away?!?!? I mean… Wow. There really was no point to the entire Dragon/storm scene was there? I mean… The cliffhanger itself was definitely interesting, and attention grabbing, but it made the return itself all the more underwhelming when nothing really came of it. The dragon just flying away and Sorey basically “catching a break” felt like a major cop out. A cop out that also felt tonally and just logically off. 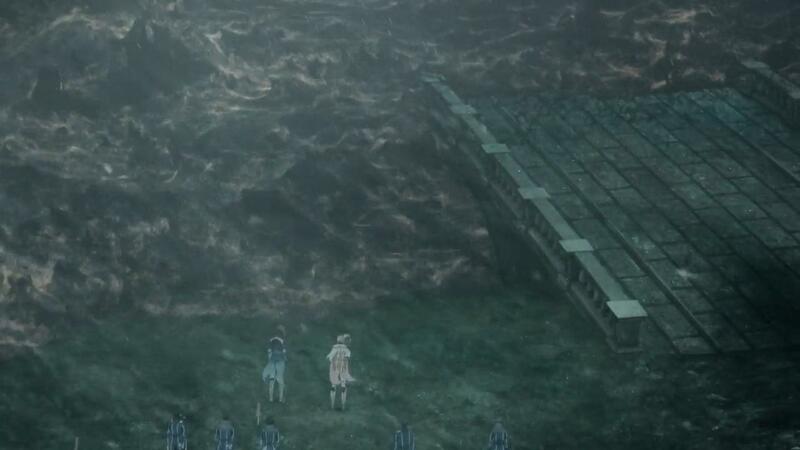 There was no payoff to the big cliffhanger, nor was there anything interesting that we got because of it. 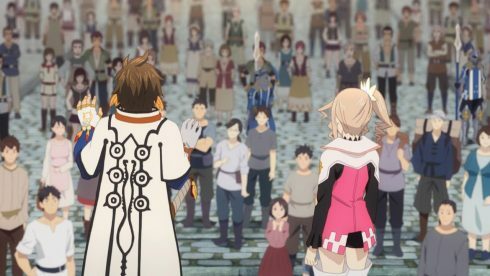 It was nothing more than an artificial stopping point for a series that clearly needed to continue to tell its story rather than go off on some unrelated detour. And if the series had just moved past the whole Dragon thing and largely kept going, then I honestly would’ve been fine with whatever it is that we got here. Berseria needed its odd promo because its coming out soon, and I’m sure that promo added to the exceptionally high budget for this series. 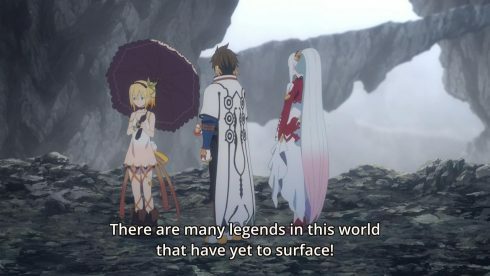 Berseria caused its disruption, but its over with. So… The next logical thing to expect is a story that picks up and goes through everything that its supposed to, pretending as if nothing odd really happened. 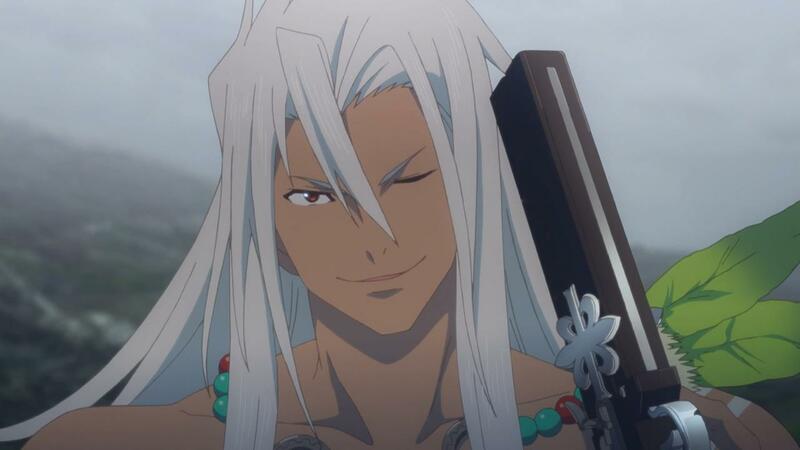 But honestly, at least from the stand point of someone who’s played the game, that didn’t happen and instead, we got the short end of the stick in terms of the core story that this series is supposed to tell. 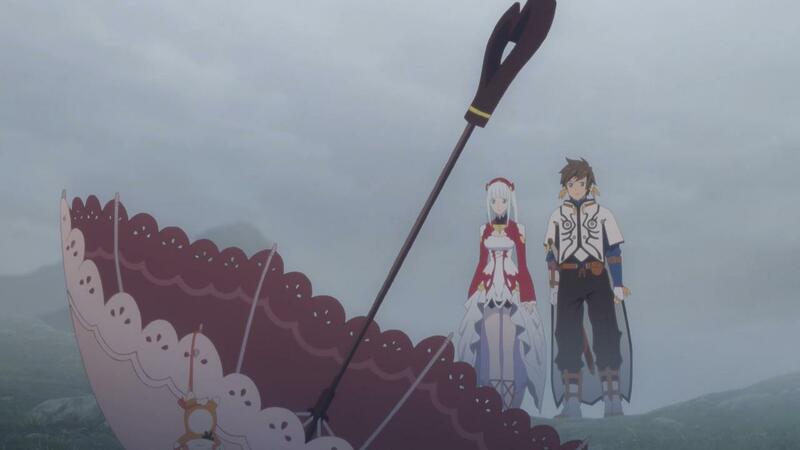 Simply put, we lost two episodes worth of run time, and the series needed to play catch up and get to a decent point in order to make up for it. 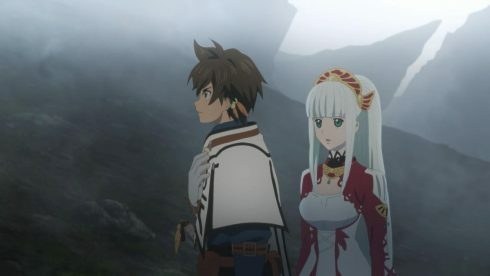 The things that got cut and lost, as a result, came from Zestiria’s own storyline, and for once, the elements that were changed or removed, were important and not just minor “tweaks”. The first thing that we lost, was the whole moment of Mikleo getting his sacred artifact. 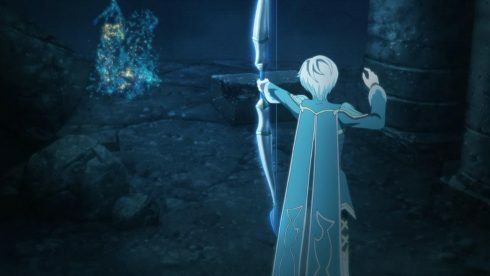 See, in the game, what happens here is that Mikleo and Sorey actually have a big fight in Ladylake. Its a fight that actually hones in on the complex, brotherly relationship that these two have. 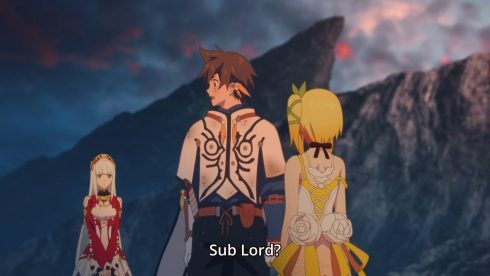 I eluded to this fight being cut before, but the crux of the falling out between Mikleo and Sorey revolves around the idea of a Sub Lord. A Sub Lord, which we actually hear about in episode 8, is a way for a Seraphim to basically help the Shepherd and assimilate with him in a similar way to how Lilah currently helps Sorey. Seraphim can’t purify Hellions without being in a Sub Lord contract, so it stands to reason that Mikleo is pretty powerless to help unless he goes for that particular contract. Mikleo obviously wants to help Sorey in any way he can, and help reign him in when the guy becomes a bit too reckless. Sorey, on the other hand, doesn’t want to take Mikleo’s freedom away or drag him into something that he feels Mikleo never signed up for. 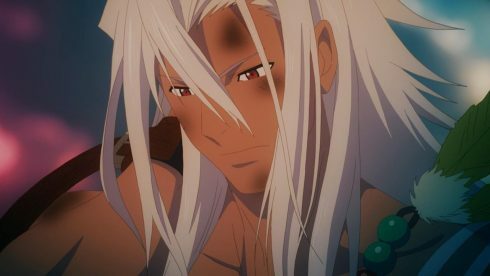 The fight stems from each character thinking about the other, with the best of intentions, but not realizing what the other wants. 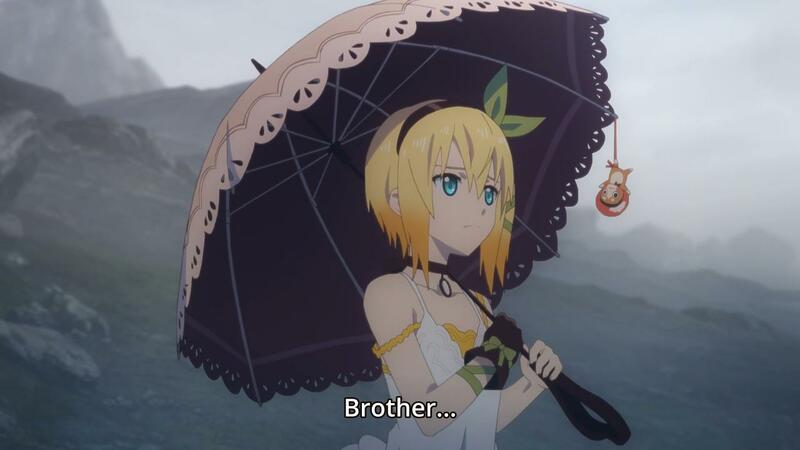 Its a fight that many brothers and close friends often have, and its a nice little character moment for these two, as they work past their issues and then reaffirm their friendship. And this big moment? 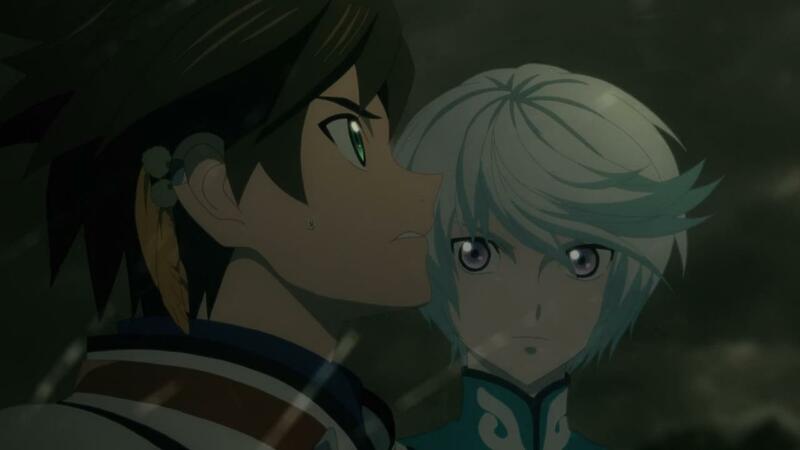 Which I’d argue is a pretty big character moment and doubly important because it establishes Sorey and Mikelo’s relationship? Its not even in the anime. 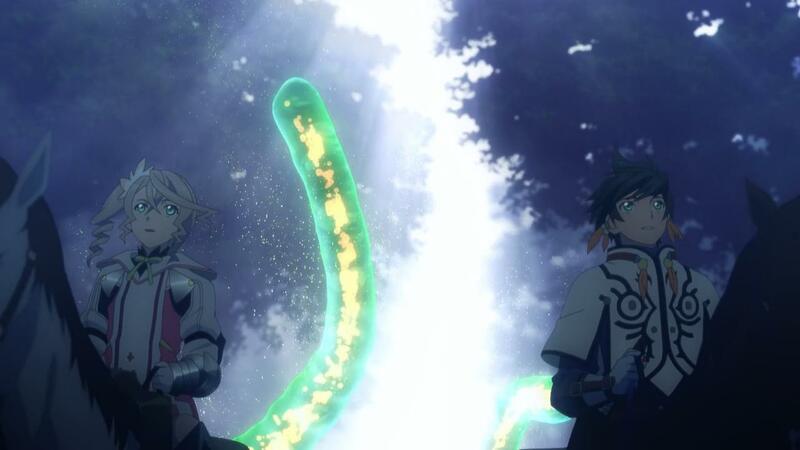 To make matters worse, Mikelo’s Holy Artifact, which comes into play much later, with Sorey and the entire gang being present for it, gets horribly edited and thrown in way earlier. The Water shrine is one of the big dungeons in Tales of Zestiria, and its one of the key things that you end up doing in the game. 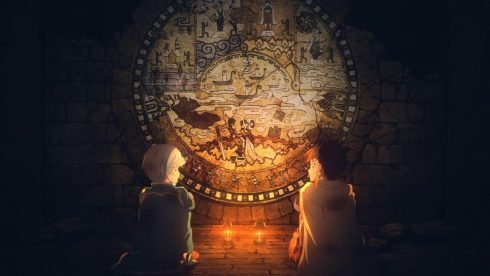 There’s a ton of insight, plot threads and little tidbits that you find out about the history of the world, the Shepherds and the Lord of Calamity. 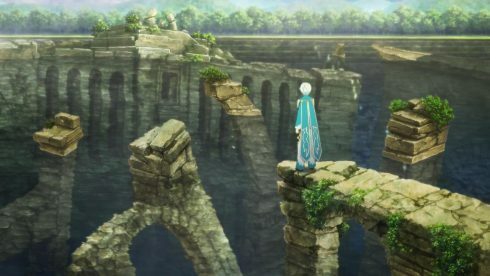 A lot is revealed in this area and part of the story and removing those auxiliary story elements is bound to cause problems later on. Look, what I’m saying is that the anime is fundamentally changing the very nature of the story with these particular edits. 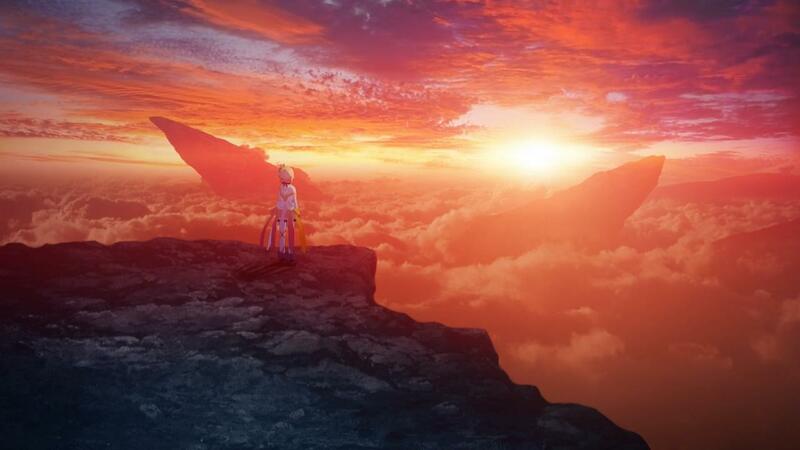 It has Mikelo basically go off on his own to find his holy artifact, and has Sorey basically travel to another area and meet with another two characters in the meantime. Its not hard to see what the anime is actually doing by lumping these two things together. Its trying to kill two birds with one stone, and get two major parts of the story over with, in record time. What it’s also doing, however, is fundamentally altering, shortening and in my opinion lessening these impact of both these events as well. While Mikleo and his artifact can be argued away as not “that important”, Edina and her Dragon brother are a big deal. 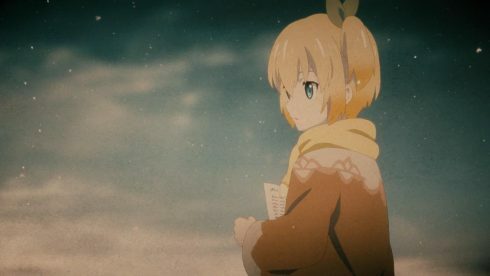 The introduction of Edina, one of the primary characters in the story, was basically heavily watered down. 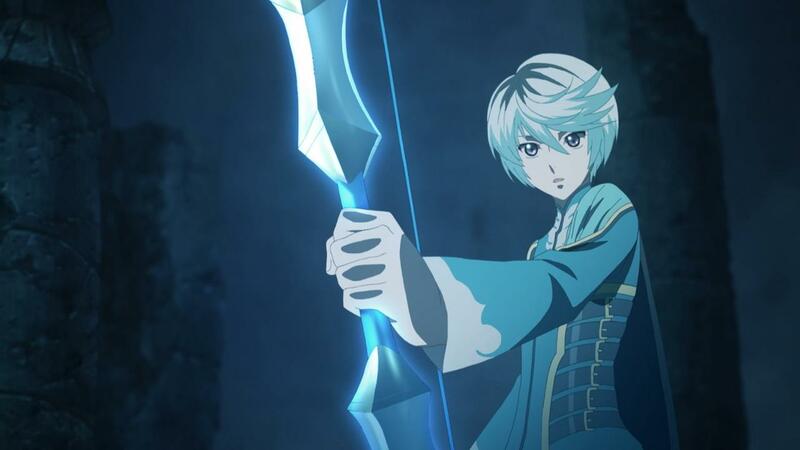 Mikleo is very much there when Sorey encounters her and the man known as Zavied. 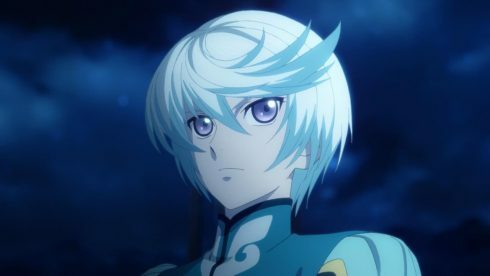 Zavied himself, makes a huge impact on the story as well and its both Sorey and Mikleo that face him when he’s first introduced. And while you may be tempted to argue that the anime works things out pretty decently, the problem here is where the time is spent, more so than just the rushed pacing of it all. The anime does to try to rearrange all of this and make it work, but it does it in a rather odd way. 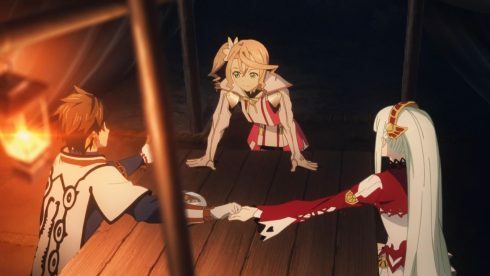 See… Episode 7 has this long sequence of Alisha and Sorey traveling, that basically amounts to nothing more than a throwaway conversation that’s supposed to be some kind of “lore” drop. 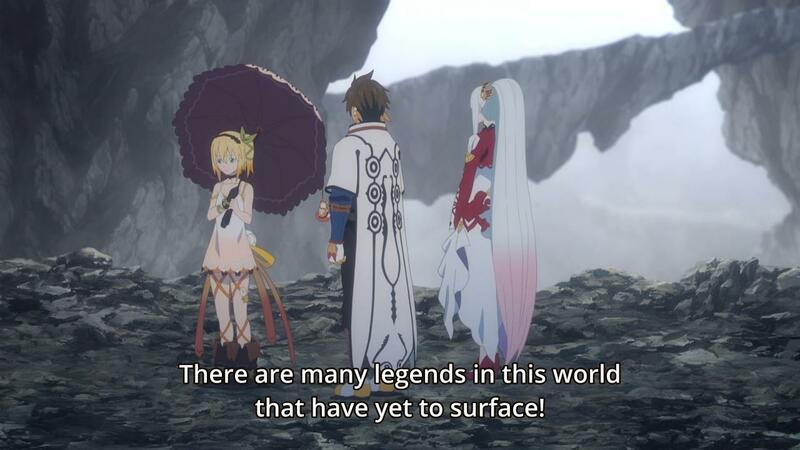 It isn’t though, and Sorey and Alisha don’t even really do much of anything beyond encountering some kind of creature that the game itself never even mentions. 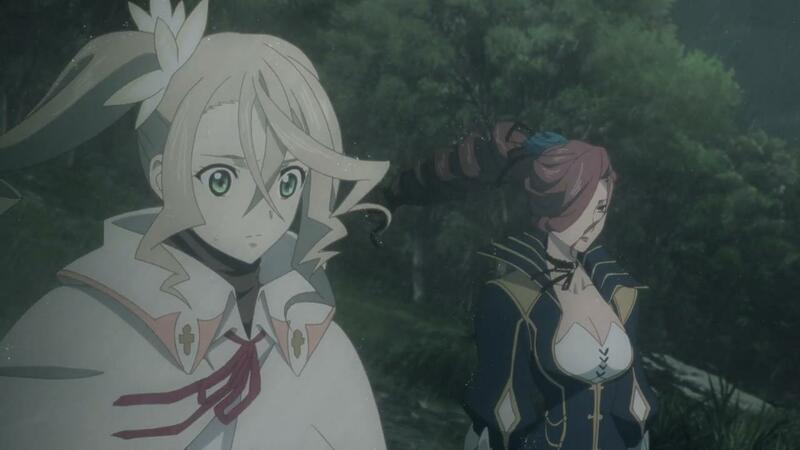 Its almost like this entire scene is just another excuse to give Alisha more screen time to appease fans of the character. And then there’s Edina’s actual introduction, which as I mentioned, is rushed and extremely short. Edina as a character, is very divisive because she’s a bit of a jerk at times, and very hard to deal with. The reason for her somewhat troubling personality is obvious of course, she lost her brother and had to watch him become a Dragon. 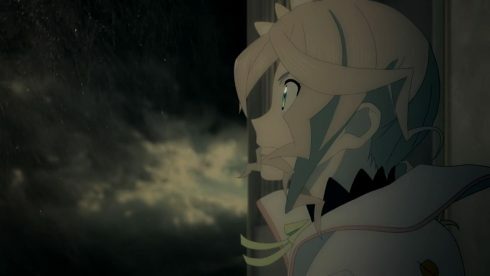 But its because of that, and because of how she believes that it was the humans that changed her brother, that she remains so distant and guarded when it comes to Sorey and his mission to save the world. The process of winning Edina over, is a lot more gradual and slower than it’s depicted in the anime. 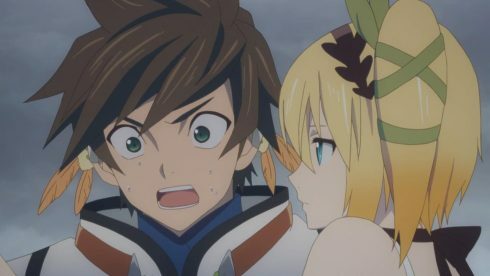 Sorey really does slowly charm and win over Edina with his positivism and genuine care for even fallen creatures like the Dragons. 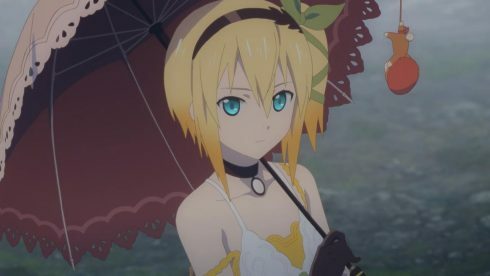 In the anime, the rather quick and sharp turn for Edina actually alters her personality a bit, and makes her seem a lot more fragile. Edina is a rough and tough girl, one that’s been hardened by a ton of loss and despair. The only time Edina actually sheds that tough persona, is when it comes to her brother. And the topic of her brother is one that she avoids, and its only in very rare occurrences that the topic actually gets broach. The idea of course, is that Edina is a bit of a Tsundere, and that particular aspect of her character, is pretty much lost in her introduction in the anime. The whole story behind her and her brother is compressed and shown over a matter of minutes. In the game, there’s a good hour or two before every little tidbit is full revealed. The breakdowns and softening of Edina’s hard exterior is a slow process that takes a few times before it finally happens. 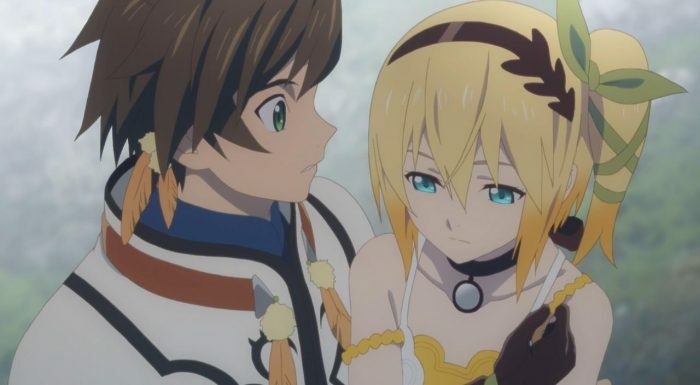 In a way, because Sorey is so naive and hopeful, he basically saves Edina from her depression by winning her over to his hopeful side. That entire character moment? Its lost just like Mikleo’s big moment was. Does it matter? Well… I’d argue that it does. 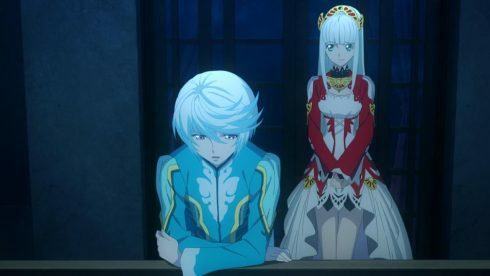 The whole situation with Zavied and Edina is rushed, a major event in the story with regards to Mikleo has been cut, and all the anime has to say about it is a rather cheeky little joke in one of the episode previews. That’s three major characters in this story basically being given the shaft. And to be honest, despite how good this anime series looks, its starting to become clear that this story is basically just a “Tales of Zestiria lite”. Tales of Zestiria is a pretty long story, and 24 episodes would’ve been just barely enough to cover all the major plot points. That was before we lost two episodes, had things rearrange in a rather bizzare way, and lost a lot of the emotional impact of the story. 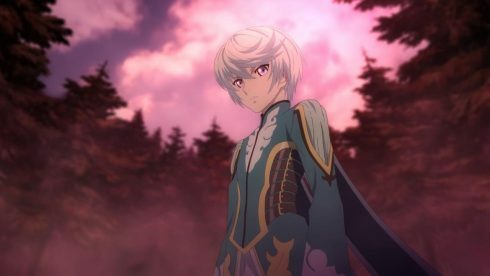 To me, it really does feel like Tales of Zestiria the X is turning out to be something that has style over substance. The source story here is a powerful one, and until these two episodes, the series had been at least keeping the spirit of that core story in tact. Ufotable can try and dazzle the audience with its crazy animation prowess, but for me, this adaptation is starting to become a real disappointment. 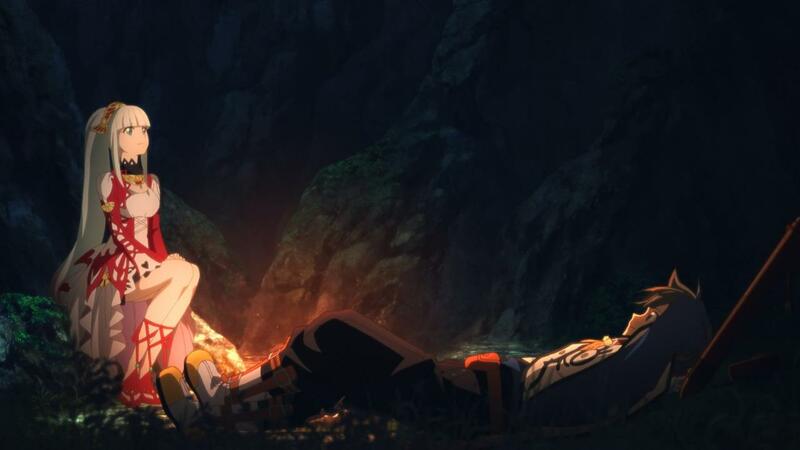 For the anime-only viewers, If you’re liking Zestiria, then I will say that that’s great. My opinion doesn’t invalidate your enjoyment, and I can see Anime-only watchers not really feeling the losses we incurred in these two episodes. 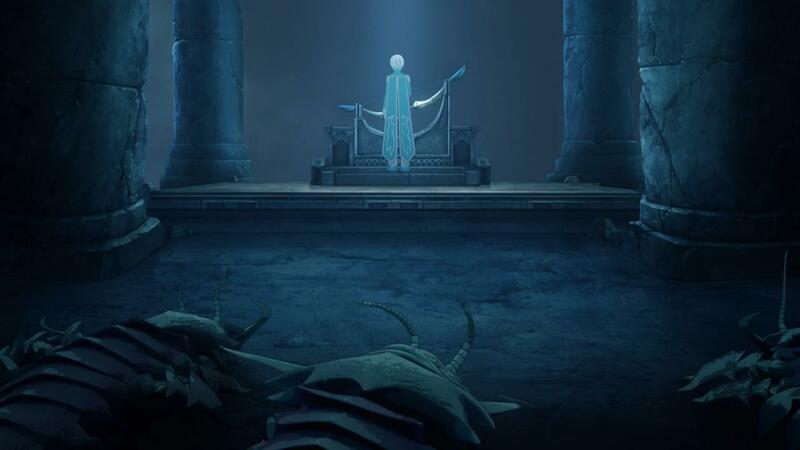 As someone who has experienced the story in full, however, I simply can’t separate that out from what I’m seeing here, and so I can’t really say if these two episodes work on their own or not. Not only can I not tell if this show is actually doing well anymore, but I’m actually a bit worried about it all. With all the changes and the rearrangement that we got here, the biggest change that I saw was the pacing of the story. We’re not just sprinting through the story at this point, we’re frigging teleporting all around the place. Which, wow is that jarring, considering I praised this series for taking its time and slowly developing the world and its characters. What we have now, is a rushed, flashey and good looking animation product, that’s really starting to break down as a story. 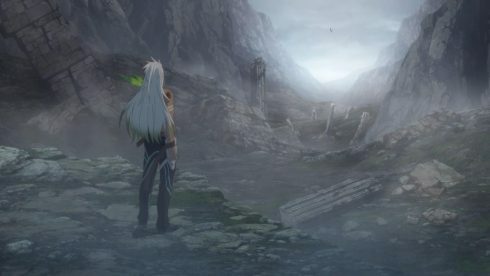 It’ll be interesting to see if the changes that happened here, create more problems for the story later down the line, or if these two episodes were just a victim of the after effects from the Berseria promotion fiasco. Will the show course correct itself and get back on track? Or will we just get a muddled, rushed adaptation that fails to even capture the spirit of the source material let alone faithfully adapt it? 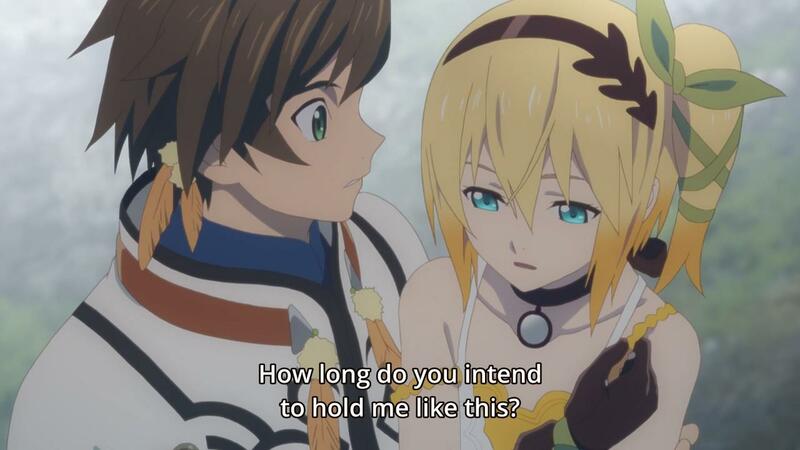 That’s the big question for Zestiria the X, as we move into the last 4 episodes of its rocky first cour.